Malaga is a city in Andalusia. It lies on the Mediterranean Sea and has 580.000 inhabitants. 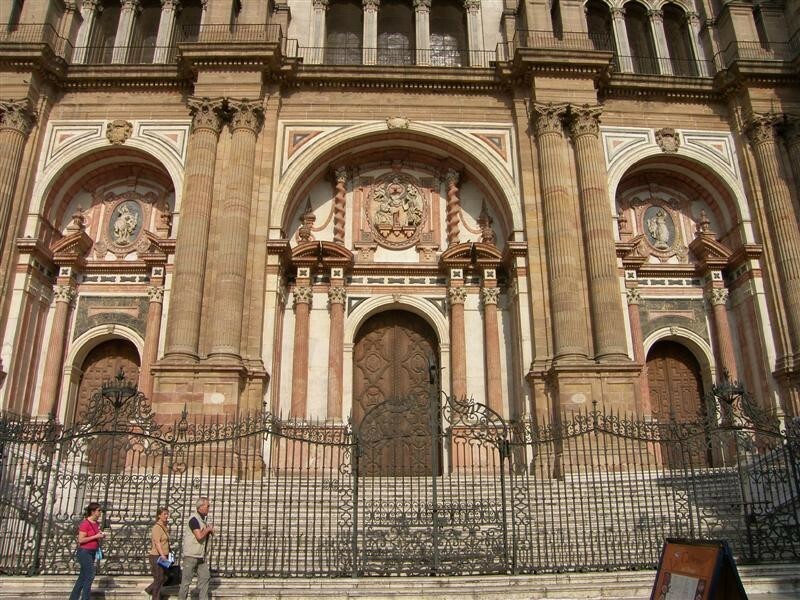 Malaga is the capital of the province, which is also the fifth largest province of Spain. The city is a port city, which also has a beautiful spacious beach. Furthermore, you might be able to recognize the city as the birthplace of the artist Picasso. In this city you could linger. Several days without problem As mentioned, it has a nice beach. However, you can also good hiking, shopping, eating, and there are plenty of places to visit. It is a very popular destination among tourists (about 6 million per year), but also among the local population. It is therefore not surprising that has requested to participate in the election of European Capital of Culture in 2016. 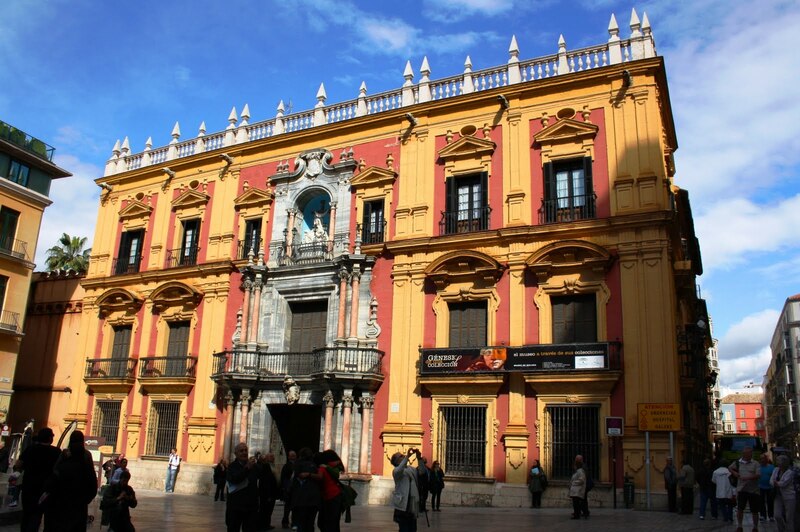 To give the main attractions, there is a list for you below a top 10 tips to visit during your stay in Malaga. This places one must visit while you stay in Malaga! Castillo de Gibralfaro in Malaga is a fortress built in the 14th and 15th centuries by the Muslim king Ysef. 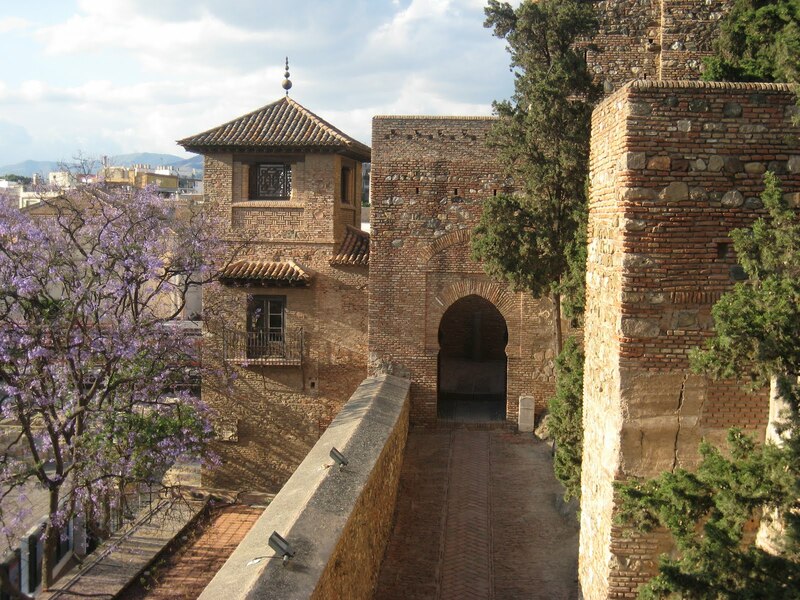 It is located above the Alcazaba which it is connected by a path on the east side. This beautiful castle is definitely worth it if you are in Malaga. Near the La Alcazaba from the Roman theater. This was only discovered in 1951. That does not mean it is a small theater. Its implementation has a radius of 31 meters and is 19 meters high. During the renovation of the library of Malaga, it was discovered by accident. 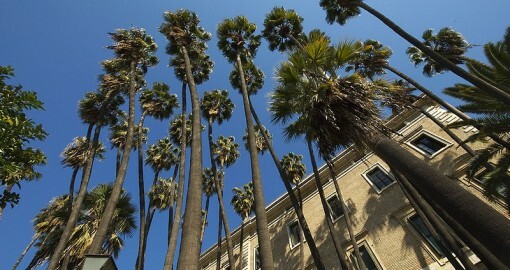 It is a very beautiful historical landmark. 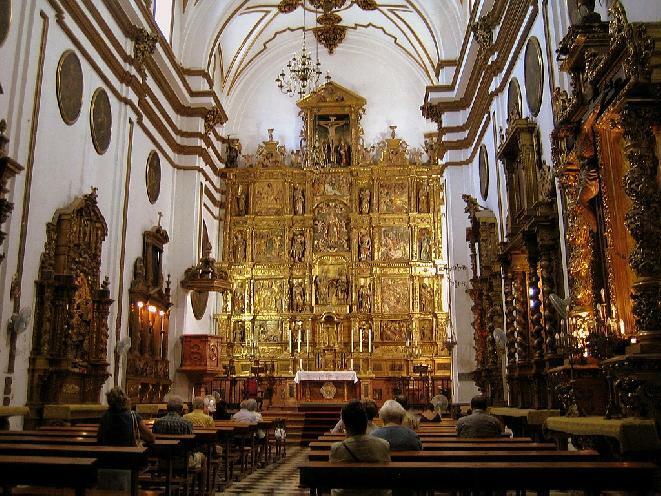 Like every major city in Andalusia, Malaga also has a cathedral. The construction of this great cathedral began in 1528. So this happened after the Christians had reconquered Malaga. This cathedral was built on top of a mosque, which was destroyed when the Christians Moors were expelled. The cathedral was not completed until 1782. This cathedral has been given different styles over the years. 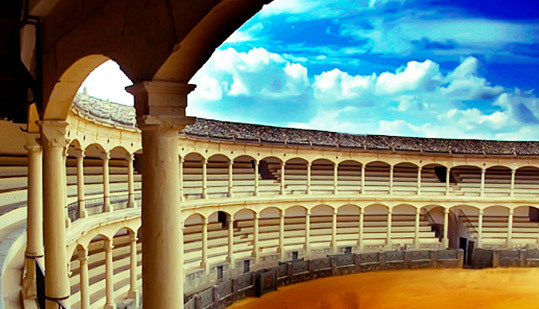 This bull fighting arena was built in 1874 by Joquin Rucoba. It has its own style and has 14,000 seats. There is also a museum where visitors are offered by a museum (the history of) the stierenvechterij. 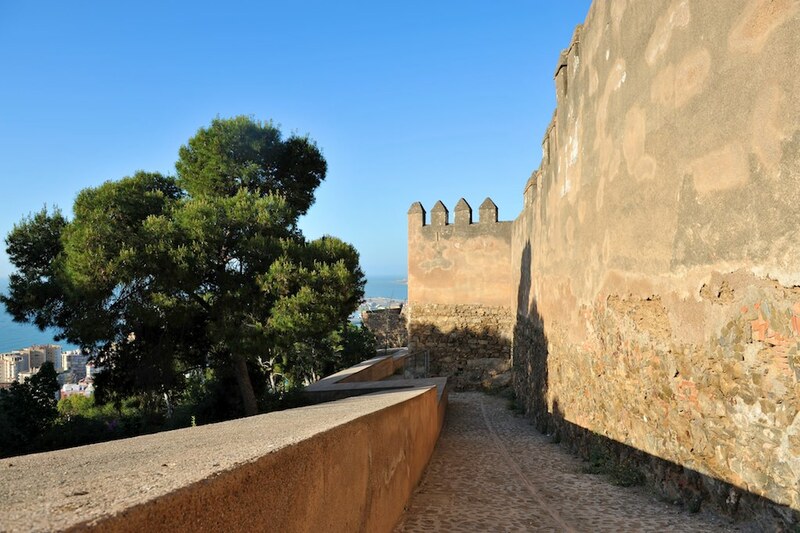 La Alcazaba is a military building that was built in the 11th century by the Moors. This is built on the remains of a Roman fortress. The Alcazaba at the time served as the residence of the governors of Malaga. The fort offers a beautiful view, since it is located on a hilltop. 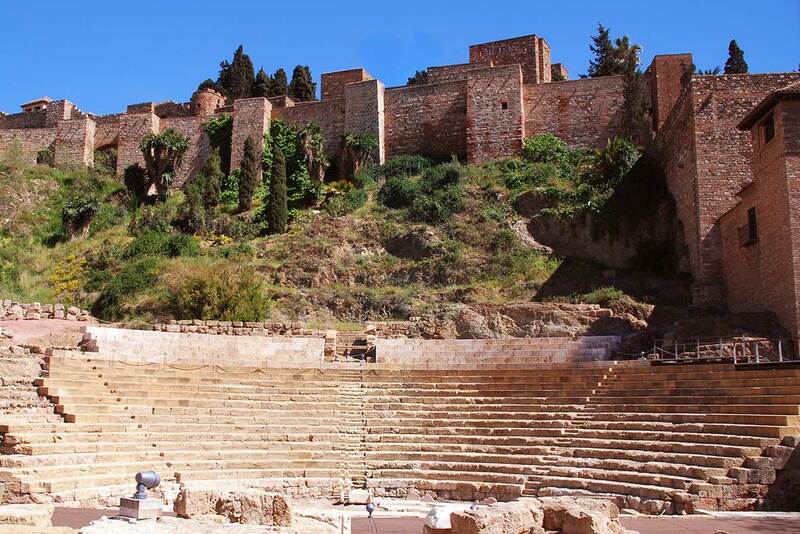 The Alcazaba is wonderful remained intact and you can not miss. This church is located on Calle Granada. Besides the fact that this church features different styles, it is also the church where Pablo Picasso was baptized. This church was built in Gothic style in the 15th century and was built on the ruins of the main mosque of the Moors. 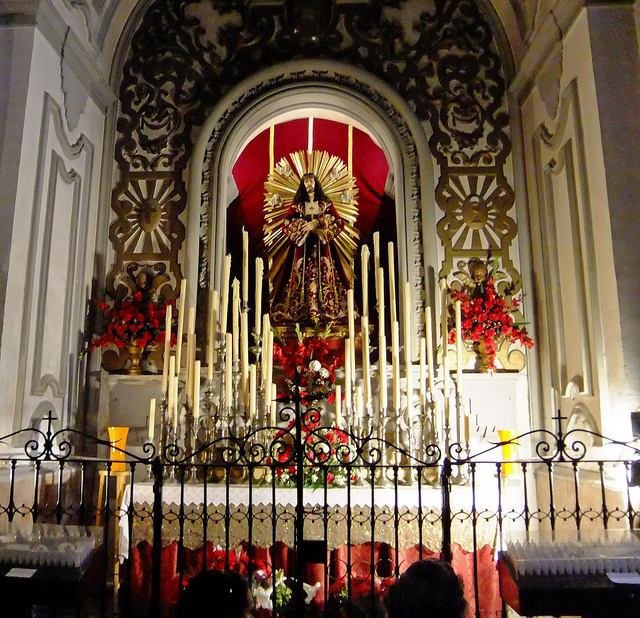 The altar, which is inside the church is very fascinating and beautiful. Next to the cathedral the bishop's palace was built. It has the typical architectural style of Malagueeaan. This palace is from the 18th century and is definitely worth it if you already have the cathedral to visit. This palace was built in neo-classical style in the 18th century. Today Palais de la Aduana serves as the headquarters for the regional government. The palace also has a hall that is smaller. 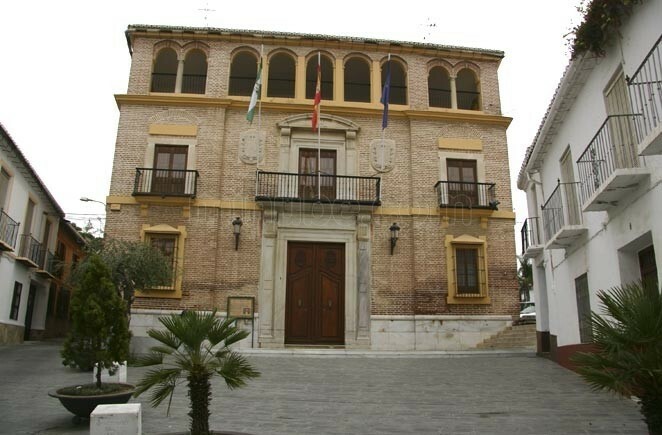 In the 18th century, this palace built for the Malagueos. This was in fact used as an exhibition space. Later it was taken over by a noble family in 1895, for personal purposes. In 1986 it was bought by the government. Now the palace houses several associations.